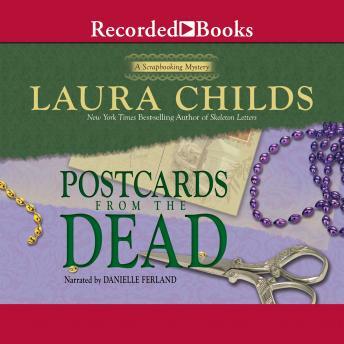 Laura Childs' New York Times best-selling Tea Shop and Scrapbooking mysteries have earned her a devoted readership. Set amidst the hustle and bustle of Mardi Gras, this much-anticipated 10th novel in the series follows scrapbooking maven Carmela Bertrand as she investigates the grisly death of TV reporter Kimber Breeze. It's not long before Carmela starts receiving spooky postcards -- signed by Kimber herself -- and realizes the case entails much more than she bargained for.